Located between several Midwestern and Southern states, Missouri offers as many things to do as you'd expect for a centralized region. It is a place for having fun, as well as exploring history, the arts, nature, and entertainment. Experience it all from the comfort of Missouri rentals, where the convenience just cannot be beat. You can set out on your daily adventures at a leisurely pace and have a cozy accommodation to return to after a day of vacation excitement. There are so many things to see in Missouri that you may find your vacation to not be long enough. The whole family can enjoy the many art museums, such as the National World War I Museum at Liberty Memorial in Kansas City, the Missouri Sports Hall of Fame in Springfield, along with historical and art museums there as well. St. Louis offers a whole lot of museums including history, art, science, and transportation museums. There is even one specializing in miniatures. You an also find many commemorative exhibits depicting the Civil War throughout the state, or perhaps indulge in live music or a big city sports game. Missouri rental homes are close to it all. Instead of using up your budget on a stressful hotel or motel room, you may find such properties to be worth it considering what is included, such as separate bedroom and living spaces and even a full kitchen. You can also take the family on a tour of nature in Missouri. There are 49 state parks including the Mark Twain National Forest as well as the Ozark National Scenic Riverways. The Kay Trail offers 225 miles of hiking and biking, and there are numerous spots throughout for fishing and hunting. Take a leisurely boat trip down a river or be daring and prop up on a ski behind a speedboat. When you set out on a long hike, make a healthy meal in the kitchen of MO rentals beforehand, so you can keep your energy going all day long. These rentals afford you so many opportunities than a hotel or motel room, including the peace-of-mind and convenience that make a vacation exciting and memorable. With the budget savings of staying at MO rental homes, the family may make a shopping trip out of at least one day. There are anything from huge shopping malls to antique shops, as well as farmer's markets and big city to small town art galleries. Missouri is also a state to explore the wine country. There are many wineries surrounding St. Louis and on the way to Kansas City, as well as near Springfield. The larger cities and even the bustling towns in Missouri offer many restaurants for fine dining, if you don't feel like having a peaceful family meal at Missouri rental homes. Families can really enjoy their down time together as well. Take the first step in planning a stay at Missouri rentals by talking to an owner of a cozy and wonderful property. The options range from affordable family comfort to luxurious homes, but you are sure to find something that meets your vacation and budget needs. Think about the outstanding times you will have and the memories that will be built up and savored for a lifetime. 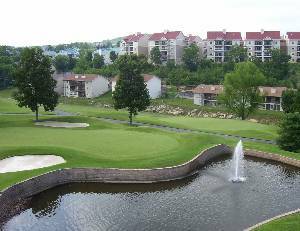 Check out nearby Arcadia Valley , Black , Branson , Lake Of The Ozarks , Lake Ozark , Lesterville , Osage Beach , Shell Knob .